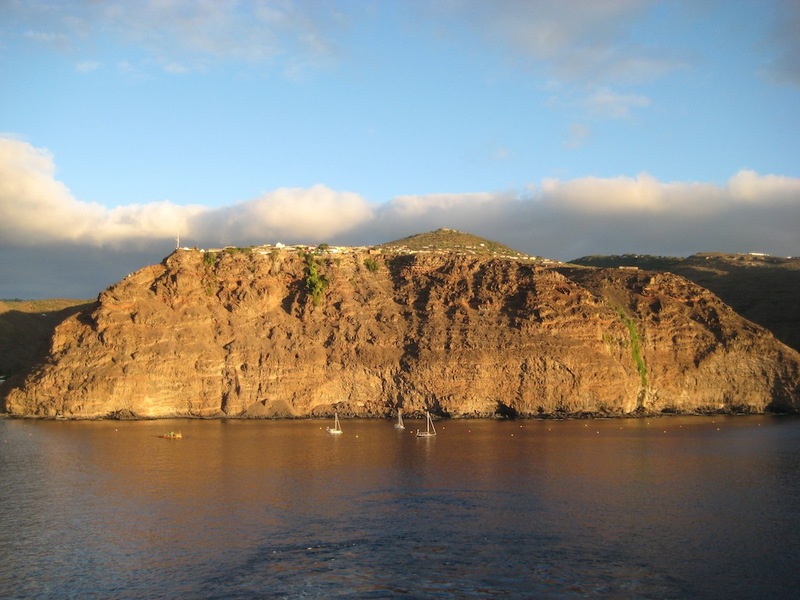 Saint Helena is a British Overseas Territory and one of the last relics of the colonies in the South Atlantic Ocean. 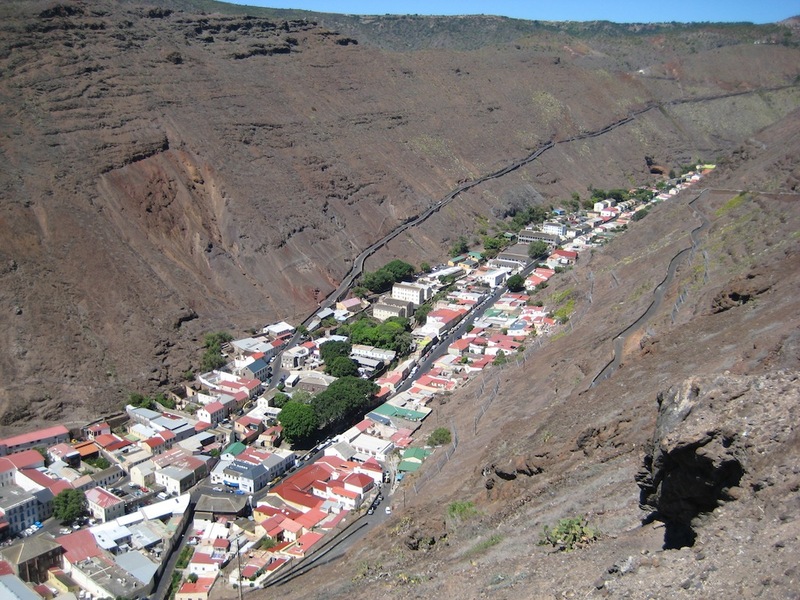 Located 1,200 miles west of Africa, St. Helena is of volcanic origin, and its surface is rugged and mountainous, reaching an altitude of 2,700 feet. The entire island is only 47 square miles, with a population of 4,000, about 850 of which live in Jamestown. St. Helena was discovered in 1502 by a Portuguese navigator, Joao de Nova; it was then uninhabited. In 1659 the English East India Company founded the first permanent settlement. 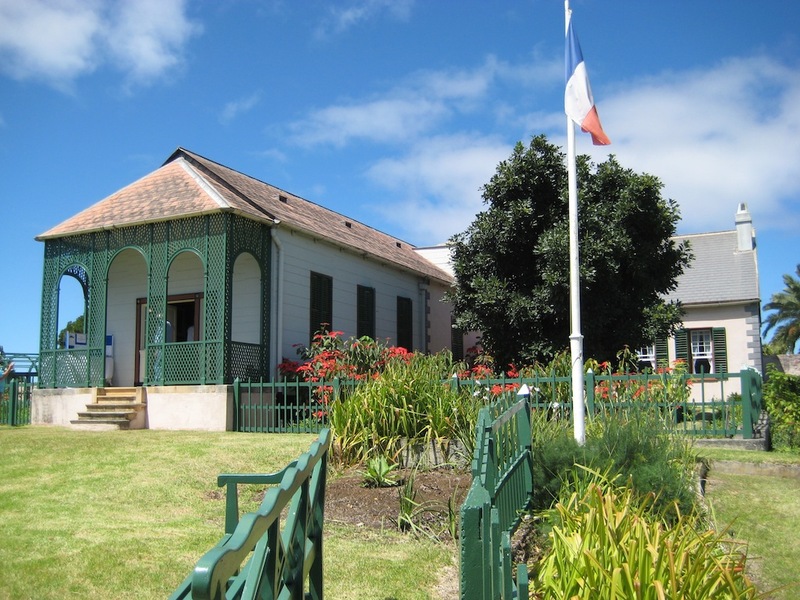 The island was used as a place of exile for key prisoners, including some 6,000 Boers, Chief Dinizulu, Bahraini princes and of course, Napoleon, who died on St. Helena. 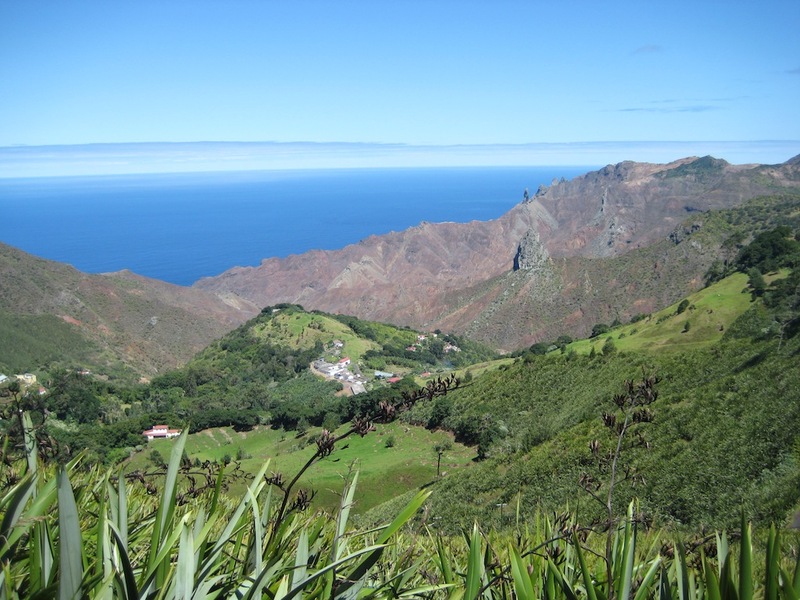 Rising dramatically from the South Atlantic, the island has sheer barren cliffs that are intersected with deep valleys, which slope steeply from the central ridges. The island has no sandy beaches. There is little flat land, and access to the sea level by vehicle is very limited. On higher ground, bush and semi-tropical vegetation is abundant. This changes to grassland and pastures before the terrain becomes drier and almost barren below 1,500 feet. The only inland waters are small mountain streams, which occasionally dry up in the summer months. There is currently no airport so the only access to the island is by way of the sea. The two nearest islands are Ascension Island (703 miles to the north-west) and Tristan de Cunha (1,200 miles south-west). On this day, we tendered ashore and found a local tour company that was offering a two and a half hour tour of the island for $25 per person. This compares with the same HAL tour for $80…we have learned for the next cruise. We were taken around the island with five other of the ship’s guests in a 1950’s Ford SUV of the day. Due to the remoteness of the island, many of the vehicles found on the island are quite old. The roads on the island are very narrow and very steep, although very well maintained. Most have rock guard rails/walls. Our first stop was at an observation point at the side of the road where we could get a birds eye view of The Briars Pavilion, Napoleon’s first residence in St. Helena, whilst the renovations to Longwood House were being completed. The Briars Pavilion was originally a summerhouse on the Balcombe Estate, a British Family. After Napoleon’s defeat at Waterloo by Arthur Wellesley, Duke of Wellington, he was exiled to Mediterranean Elba Island. After he escaped and was recaptured, his captors decided Elba was too close to home. Sailing aboard the HMS Northumberland, he landed at St. Helena after a journey of ten weeks. It was believed that the island was escape-proof. From what we saw, we agree! Our second stop was at the Sane Valley, where the original tomb of Napoleon is. The Emperor chose this beautiful, lushly wooded valley as his burial place in the event that orders were given for his body to be buried on the island. The site is accessed via a ten-minute walk down a grassy path into a scenic, quiet valley. The site where he was buried has a concrete slab with a black wrought iron fence around it and a flag- pole flying the French flag. His body has since been exhumed and moved to Paris along the Seine, which was his wish. Our next stop was at Longwood House, where Napoleon last resided and where he died on May 5, 1821. The site is now a museum owned by the French Government. The residence is a generous sized single story home on a large parcel of landscaped grounds and views of the ocean. The home has a large living room, dining room, family room, bedroom, bath, study and kitchen. The rooms are generous in size and have been furnished to give you an idea of how it may have looked during Napoleon’s time. Many of the original furnishings have been sent to Paris. The house is filled with photographs, copies of letters and memento’s from the time of Napoleon. Next we visited Plantation House built in 1792 by the East India Company as the country residence for the Island’s Governors. The residence is a large two story colonial home nestled on a clearing in the forest. It is still used as a residence by today’s Governor so we were not able to go inside. The grounds of the residence are home to the Island’s oldest inhabitant, Jonathan the tortoise, and several of his friends. Jonathan is believed to be about 178 years old. We didn’t see him there. The island has a large amount of New Zealand flax plants growing as it was harvested and turned into twine and exported for over 60 years until the industry collapsed in the 1960’s. Donkeys were the main method of transport on the island for many years. Efforts are underway to make more use of the donkeys and to preserve the donkey legacy. They have a “donkey walk” much like in Santorini, Greece. St. Helena coffee is amongst the rarest and most highly prized coffee in the world. Coffee was introduced in the 1700,s and is an Arabica bean. The island’s isolation means the coffee has remained pure. After our tour we had lunch with Jenn at the Consulate Hotel in town, used the Internet and had a look around Jamestown. 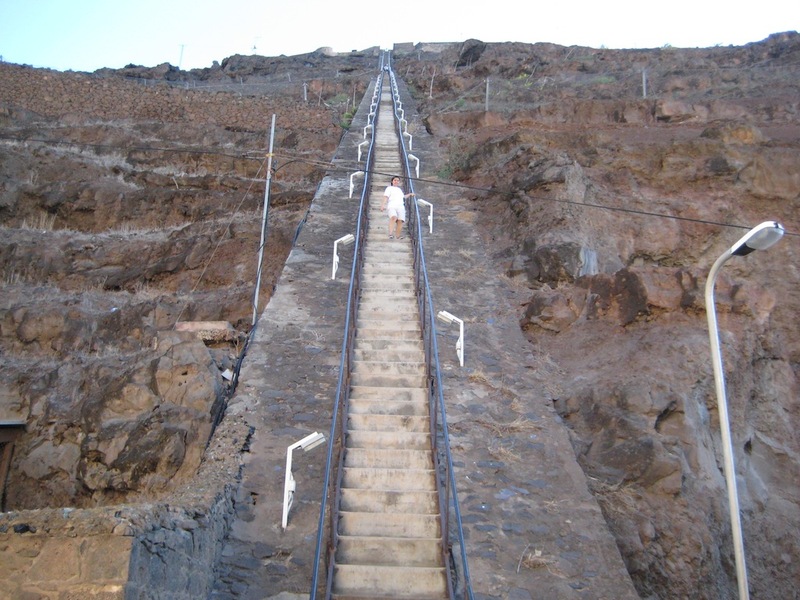 Mark climbed up Jacob’s Ladder before returning to the tender for our short ride back to the ship and the sail-away party.The island was a delight to visit with its narrow winding streets, unique flora and interesting history. Jamestown has a wonderful downtown with shops, restaurants, hotels, a small museum, all nestled in a narrow valley rising from the waterfront. They are in the process of building an airport, which will undoubtedly bring more tourists and unfortunately may change the island forever.The evening’s entertainment was a young woman by the name of Anne Rayner. Anne is a very accomplished musician who played a variety of music on the flute, saxophone and clarinet. …mostly without much passion!